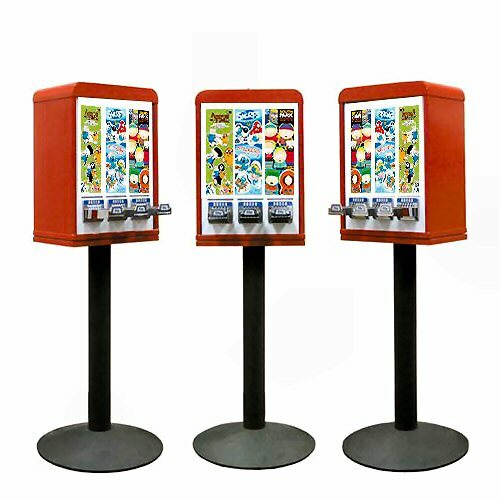 This specialty flat vend commercial machine was designed to be a workhorse for vending business operators. Especially made for stickers and tattoos, it performs without a hitch time and time again, saving owners hassles and increasing their profits. 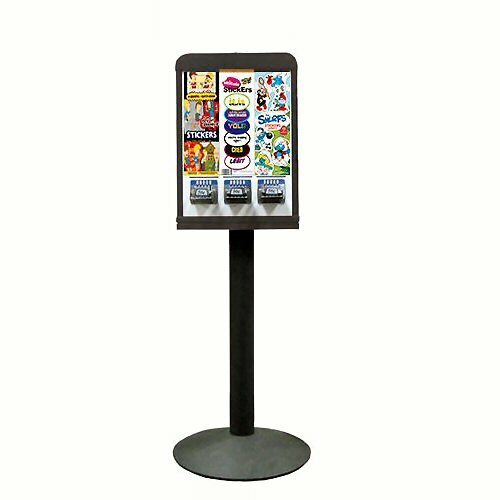 It's streamlined looks and construction allows for ease of operation and maintenance, as well as added security. 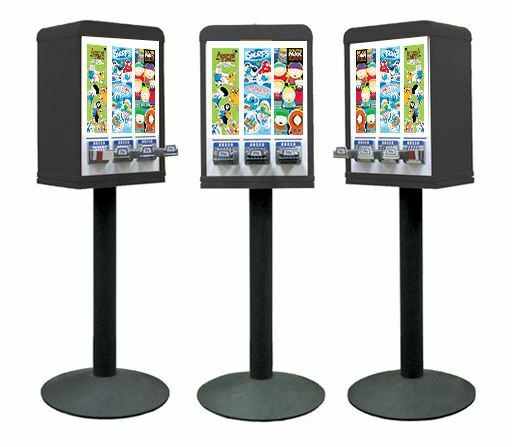 This particular machine model has 3 dispensers accepting 3 columns of flat vending products (stickers and/or tattoos).